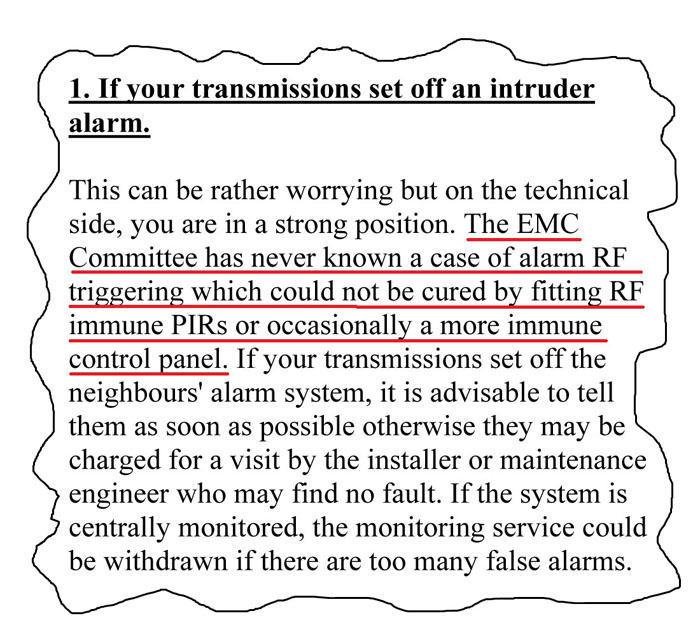 This Leaflet concerns Triggering of Intruder Alarms with Ham Radio transmissions. radio transmissions will not trigger the Intruder alarm system. national Intruder Alarm companies , I find the information not quite correct. problem, thus re-running the cable in a different and say longer or shorter run would cure it. installed with screened cable due to its increased cost. does not come in to play. knowledge of RF at all).